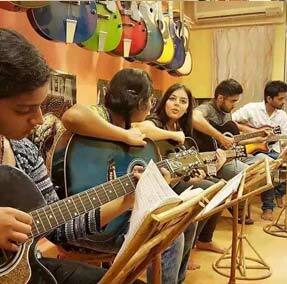 Sometimes, a little history can help you understand the present day, and in the case of Kiran Roy’s Guitar Studio, our history is crucial to understanding why we have gained such a reputation for quality and excellence over the years and why hundreds of students attend our courses every year! It all started in the year 1998 when Mr. Kiran Roy, developed a vision of emerging into a high potential music education sector. 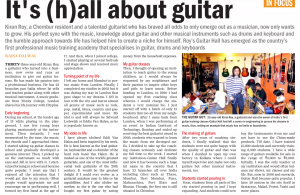 He started his efforts in this direction by setting up his first Music Academy named Guitar Hall in Chembur to cater to the music training needs of everyone residing in Mumbai, offering a trendy chilled-out place along with top noth guitar training which Kiran Roy himself used to deliver. Professional music education was imparted amidst a very serene and relaxed setting and this place soon started attracting students of all age groups not only from the city but far corners of the country. Guitar Hall has grown to today’s magnitude with centers across India, a massive guitar factory producing the finest acoustic guitars in the country, contracts from the finest international schools in Mumbai to deliver music education in their schools and still incorporates the same traditions and the values set forth by this visionary. When Guitar Hall was found, it was the time of the self taught guitar players and private teachers who used to train from their homes. 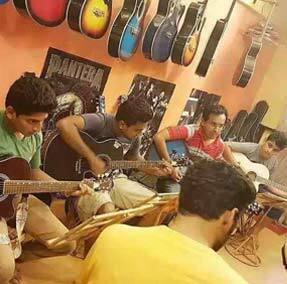 Young aspiring guitarists from Mumbai, Pune and neighboring cities were searching for professional academies to release their musical goals and Guitar Hall put them on the right track. 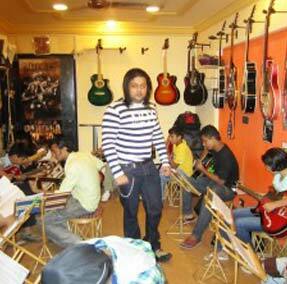 The students also accepted Guitar Hall’s teaching methods and relaxed setting whole heartedly. Training was simple then. 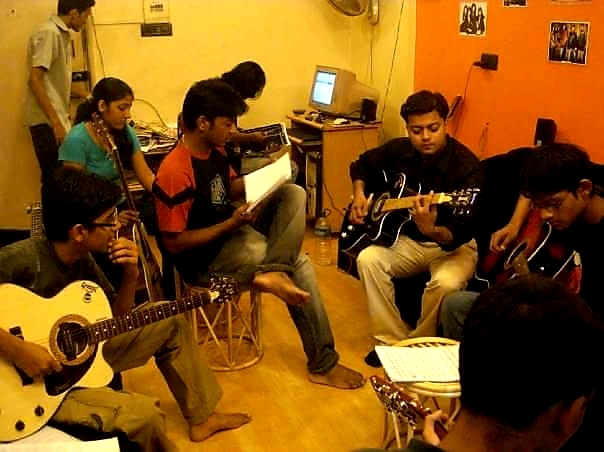 Just Kiran Roy, an acoustic guitar,a few notation sheets and a pencil! No state-of-the-art facilities, books, instruments and branches at the best locations. 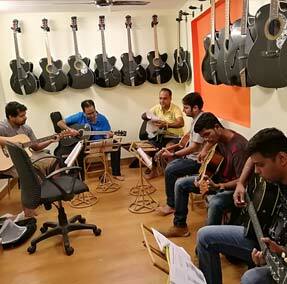 It was here and in this environment that Kiran Roy single handedly worked very hard day and night to release his dreams which turned out to be India’s first, foremost, finest and largest chain of professional music training academies and specialist guitar shops which has never been witnessed before in history.